This is a re-post of something I wrote over 3 years ago. I was inspired to post it again, because of this thread in Hacker News about the school for poor gifted children in the Indian state of Bihar that coaches them for IIT entrance examinations. What saddens me most is that scarcity of education makes this story possible. The fact that there are so few seats for so many candidates and that the rich have their own inside channels to getting their kids admitted are other reasons for being very careful. 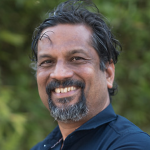 The interesting part is that this experiment has been done, in the southern state of Tamil Nadu (the home of Zoho) – a massive, nearly 20-fold expansion in engineering education in as many years, which for the most part was unplanned, even accidental. I have long argued that it was this expansion that led to the improbable emergence of IT industry in southern India. I say improbable because societies with $300 per capita GDP (as India was in 1990) do not suddenly develop industries with average productivity of $40,000+. Now my original post from 2006 which was written in response to NY Times columnist Thomas Friedman’s articles and books on India’s economic transformation appears below. I read newspaper articles, watch TV programs, and hear commentators like Tom Friedman of NY Times express views about India’s economic transformation, driven primarily by the IT and outsourcing booms. Here is a different perspective, from someone who saw it happen first-hand. Many commentators in the West, including Tom Friedman, make an implicit assumption that somehow there was or is some kind of an institutional grand plan in all this. Somehow “India” (as a collective entity) focused on education, particularly in science and engineering, and there was a planned take-off. The IITs are mentioned often (I went to IIT Madras myself) as part of that master plan. I would say there is about as much foresight and plan on the part of institutional India in the IT boom as there was foresight and plan in the emergence of the internet industry in silicon valley – both are happy accidents of a lot of not-very-related phenomena. The origins of IT boom in India could be traced to an accidental decision of mega-star actor/politician turned Chief Minister M.G.Ramachandran, affectionately known as MGR – he was the Arnold Schwarzenegger of that time and place – in my native state of Tamil Nadu. In the late 70’s and 80’s the state was convulsed with caste politics (”identity politics” to Americans), and reservation in educational institutions and jobs (”affirmative action” to Americans) was the hot item on the agenda. By early 80’s, the socialist system that Indira Gandhi foisted on India was visibly starting to fail, and the whole political debate was how to divvy up a stagnant or shrinking economic pie – reservation was just one mechanism the political class came up with, and it mixed well with “vote bank” politics. Since government controlled all higher education, and the number of seats in professional colleges like engineering and medicine – which offered better prospects of a job in a high-unemployment economy – was woefully inadequate compared to the number of kids graduating from high school, reserving seats was the rationing mechanism the political class came up with. MGR, due to his very successful movie career in a variety of super-hero roles – like most Tamil boys of my generation, I was a huge fan, and remember campaigning for his party in my village when I was a 9 year old! – had built-up a wide support base that cut across caste, religious and class lines in the state. He instinctively grasped that a reservation system that apportioned seats in educational institutions and public sector jobs was going to divide society permanently. After he came to power, he started musing about moving away from caste-based reservation, and instead reserve seats based on economic criteria. This was the “third rail” of Indian politics and still remains to this day. He got himself into political hot water quickly. In a dramatic U-turn that would make Arnold proud today, he ordered a massive increase in the reservation quota – it used to be about 30% when he came to power, and he increased it to 67%, and for good measure, he made the vast majority of the population eligible for those reserved seats by expanding the definition of socially backward communities. But to assuage his guilt, he decided to allow various private groups, primarily belonging to caste or minority religious organizations, to set up engineering colleges. That was about 1983-84, the time I was in high school, so I was paying close attention to this particular issue. Until that point, the state of Tamil Nadu, with about 60 million people, graduated only about 2,000 engineers a year – and it was considered one of the more educationally advanced states. His government liberally handed out licenses to start colleges, and more important, they could charge whatever fees they wanted. It became very, very profitable to start an engineering college – due to the massive pent-up demand for education. Within a few years, the number of engineering students had crossed 10,000 a year, and today it stands close to 70,000 a year. The state now has over 250 private engineering colleges, compared to 7 government-operated ones in 1983. All this is in just one state in India, with a population of about 65 million people. Other states, particularly in the South, including Karnataka (Bangalore is the capital city), and Andhra Pradesh (Hyderabad is the capital city) got in on the act. Together, these 3 states alone graduate over 200,000 engineers a year now, by my estimation, and together, they account for only about 20% of Indian population. Northern States were slow to get their act together, and what that has meant is that the IT boom is concentrated primarily in the South. n be imagined, was and still is all over the place. But that is not important as I have argued elsewhere, see my post Placebo Effect in College Education. What these colleges produced is a generation of people, who at least have an exposure to technical ideas and a desperate need for a job, particularly because their parents had spent a fortune on their education. Most of us in India got into engineering not because we had grand visions of invention, but because it had better prospects of a job than the alternatives. This educational liberalization in my state happened coincidentally at around the same time that Rajiv Gandhi became Prime Minister of India, succeeding his authoritarian mother. Luckily for India, he was a very different person from his mother. He had liberal (the true classical sense of “liberal”, not the totally distorted American sense, where it is almost codeword for “socialist”) inclinations. He was fascinated with technology, and thought it held potential for India. So he liberalized computer imports (which until then attracted duties in the range of 200%, to conserve precious “foreign exchange”). As an unintended and certainly unplanned consequence, companies like TCS and Infosys imported mainframes and started to provide services to western companies, in almost exactly the fashion of EDS a generation before in America. It all started small. In 1989, when I graduated from IIT Madras, I do remember hearing about this small software company called Infosys that came for campus interviews. But the IITs didn’t graduate anywhere near the engineers (IIT Madras graduated 250 a year, including all branches of engineering) to satisfy the demand from these companies. So companies like Infosys went to the emerging private engineering colleges. I remember that in late 80’s, the dominant public sector companies of the era (now mostly dead or dying!) would not hire private engineering college graduates. So privatization in higher education in one state of India accidentally provided the fuel for the emerging private sector companies. There was absolutely no coordination between the policies at the state level where MGR was backed into a political corner, so private sector education was an innovation he came up with on the spur of the moment, and those at the central level, where Rajiv Gandhi, fascinated by technology, liberalized computer imports. For those of you mercantalists, that trade liberalization, which first led to imports, eventually led to the emergence of the export industry. So really government policy played only a “getting the hell out of the way” role. There really was no pro-active government role in the emergence of IT. Nor do I, as a libertarian, think government should play any such role. So when well-meaning commentators like Tom Friedman use the competitive challenge from India (which is utterly meaningless because “India” doesn’t compete in any sense with “America” – these are way-too-broad entities to have any coherent meaning; only individual companies compete) to argue for more government “investment” in education, I blanch. If anything, my preference is for the government to get the hell out, and remove barriers to trade and investment. And the one area where the American government is actively harming real industry in America (as opposed to the financial “industry”) is through faulty monetary policy, as the article by Eric Janszen that I posted about earlier explains. But Ben Bernanke looks all set to continue the harm, with his foolish (as in “only an ivory tower academic could come up with this”) monetary ideas. The credit bubble that the Greenspan/Bernanke fed has unleashed on the world is now a global monster, impacting Beijing and Bangalore as badly as Boston. That pleasant attack-the-Fed diversion aside, the IT revolution in India really had its origins in the accidental privatization of higher education that was unleashed in one state in India. Even today, as a direct consequence, a disproportionate number of the workforce in the Indian IT industry as well as the Indian technology diaspora in the West, particularly America, come from Tamil Nadu, though other states are catching up quite fast now. And we have my childhood hero, MGR, to thank! I have a somewhat unusual question that I’ve been unable to answer in any detail.You’ve argued that the explosion of sub-standard education in south India has contributed immensely to the growth of the IT sector – and I am inclined to believe it. But what I’m a little concerned about is a certain disparity in top level engineering education. Despite having a strong base of engineering colleges- Tamil Nadu as a state performs terribly in national level examinations- JEE/AIEEE/BITSAT etc, in great contrast to Andhra Pradesh or Karnataka even though the tech boom started late in the other two states. The only major differentiator I can see between these states- is Caste based reservation. Otherwise it’s a mystery why TN is doing so badly in the ‘higher strata’ of Indian engineering. This website link will show you how most of these private colleges are involved in some serious money laundering and corruption. I see the bigger arugment author makes – but coming from TN he gets hung up on his view of the world – he thinks everything started in TN and by MGR – which is what caused little bit of a problem here 🙂 but he is generally right – Confidence is all that matters – IIT graduates have that for sure (because cracking JEE means something) – for most IT jobs any engineering education gives the needed confidence, than, say a BA in History would give. Author was right TN had more caste related issues than other states – but that did not have anything to do with private engineering colleges – private engineering/medical colleges were started much earlier in KA where most of the students were from AP or from north India or NRI students those colleges were very very expensive. We can safely say (at least in those days) an Average TN person was much poorer than an average AP person. AP had lot Agricultural wealth. Those AP people were sending all that money to KA. By mid to late 70s AP started getting their own private medical/engineering colleges (google Siddhartha college in Vijayawada) by 1980, 1981 – there were several engineering colleges. @Sivakumar: Merit based Admission into Private Engineering Colleges was first started by NT-Ramarao in AP in 1983. By then TN and KA still admitted students just for money, of course they had to pass intermediate exam. I knew this for a fact – because that is the year I started BTECh – I personally got admitted into one of the top schools (REC/NIT) through entrance exam.Worldwide there are more IT professionals that are AP/Telugu origin… than any other state in India period… the main reason I think is – there are more AP/Telugu people in SouthIndia than other kinds. I read somewhere Telugu is the second widely spoken language in India after Hindi. Panjabi and Bengali would be larger number than Telugu if we include other countries (especially Pakistan, and Bangladesh). good one. some of us have misunderstood this article as regional. The essence of this post has nothing to do with TN as a state. It has to do with the fact that we shouldn’t be giving credit of IT boom to the government. It was not a planned thing by the government. All the government was to get out of the way. The message really is that progress happens not due to the government but in spite of it. The South does not revolve around Chennai, Tamilnadu is only one of the 4 states that comprise it. This article has no basis what so ever. This is a silly Tamil writeup promoting Tamil Nadu!Karnataka introduced the concept of private engg colleges in India. The MGR bull is simply MGR bull. IIT Madras had no part in the initial IT boom.Andhra has the highest number of engg colleges anyway. But it was Bangalore that promoted IT the most, translated to some IT work going to Chennai.Give credit to Infosys, TI, Wipro for growth in Bangalore, TCS, HCL, ICIM and others for Mumbai, Satyam and others for Hyderabad. And the fact that Southerners make good team members – pliable, somewhat humble and cooperative – all qualities needed to form teams. MGR-Hero-Felt-talent should get priority-poor should get oppurtunity-realised demands cannot be ignored-Realised More oppurtunity needs to be created-Got the power to change government policy in right direction(Became Super Hero – Previous Gandhi and Nehru Policies painted another Great Socialist-Capitalist Dhirubhai Ambaniji as swindler) – Although we didn’t plan , what to do with such talented pool of young minds , there was a divine plan – As the intention was right and just , things fell in place -Rajiv felt the heat for development and need for liberalization- we cann’t make everything ourselves , there needs to be interdependency – gods will to create universal brotherhood. So when the govt reduced 200% duties gradually it augured well for the Industry and IT started to Happen here.I got this animated , we are humans, so for not deviating from the essence ommited mentioning tamilnadu or caste and reservation.So wherever development happened there were more oppurtunity created and led by right people with right intentions.Great insight Sridhar.Thank You. Not wanting to get too regional about it and I am no fan of either Vasant Dada or MGR, but thankful for their accidental decisions. Hope some north Indian politician takes some similar accidental decision to bring prosperity there as well. Sampat …Plain English I guess 😉 .Real growth in most of the Indian IT companies hapenned post 1991. There was a latent demand for the qualified people to drive growth. Govt institutions couldnt meet that demand – meaning couldnt generate the huge amount of engineers required to drive the IT services industry. Most of the 250 engg. colleges in TN started churning out reasonably qualified engineers by that time. The IT service companies lapped up them. Thus the IT industry and the TN Engineering colleges industry (!!??!) complemented each other in meeting the demand-supply. This is the Gist of the Sridhars message and most importantly he says none of it is planned and it happenned fortuitously ….. There is a complete mismatch between the title and content of the blog (atleast I feel so). I could not see any connect between the IT revolution and the privatisation of education in TN. Being from Tamil Nadu, you might know MGR better, but in my perspective from beyond the Vindhyas, MGR does not appear to have any more scruples than any other venal and vicious politician that has plagued this ancient country. He allowed these private colleges to sprout because he knew there was tons and tons of money to be made from education and he wanted to have a hand in this pot of gold. Let us call a spade a spade and pure greed as pure greed itself. Let us not impute noble motives when there are none ! I am sure, its the same with Bangalore. The content is good… but seems to be politically motivated :)I think it is the IIT ians of 70s and 80s who made this revolution possible. Even if there were no Engineering students, IT could’ve still survived in India. Coding is no rocket science, but innovation is 🙂 Not all the engineers innovate, they only code. Well, several other states also had pvt engg colleges starting out in 1983-84. Would tend to agree with AP Man. I think education in AP / Karnataka, was made a “business” by the politicians way before – by granting licenses I guess. Coming from Punjab, Bidar and Manipal was a household name for engineering, and the number of colleges that were already there in these areas in early ’80s. So, put that down to greed !And one more point – Luck ! Y2K really catapulted the ‘masses’ in engineering into the US and western countries. That was one incident which ‘consumed’ engineers even after the boom. Since I’m not Indian, I can’t really argue about the North/South debate. But I don’t really agree on the fact that government has no word to say about education and IT. Education is the future value of our country and a modern country without strong basics of IT will fail in a near future. That makes two key features where India is better than China to my mind. mks, I do not claim to be objective here. But if you trace through the history of the industry in the 90s (before IT became glamorous in India), you will see my rationale clearer. After 2000, it became much more broad-based. Good one.Could it be that your rationale is driven more by your love for your state of TN and MGR than by facts and actuals?But then, it’s your blog and you did mention that it is an unorthodox explanation. A.P man, I agree there were private colleges, even private universities in many parts of India well before the 80s. Manipal Institute, Annamalai University etc. come to mind.But you also have to agree that for a long period, nothing was allowed in the private sector – some private colleges that squeaked through in a much different age were allowed to operate but no new ones were formed. Starting with early to mid 80s that started to change, and the mass wave of engineering colleges happened in Tamil Nadu and AP; in Tamil Nadu, the political situation with respect to reservation acted as a catalyst for the changes. My thesis is that this mass wave of engineering colleges directly led to the IT industry’s emergence. Nice explanation there Sridhar.With all the educational campaigns going on there is a less chance of many people ending up illiterate.But, the primary concern would be to make them sustain it. They need to continue it in the long run, rather than breaking it in the middle. Private affiliated engineering and medical collegeâ€™s concept started in Mysore state in early 1960’s. There were no private affiliated engineering and medical collegeâ€™s anywhere in India other than Mysore state until early 1970s when A.P started Kakinada and Warangal medical schools. Substantial number of students in those colleges are from A.P. It was N.T Rama Rao who got ticked off with so many of A.P students leaving state to study in Mysore state, started affiliated engineering and medical colleges in early 1980s. Regarding TN produces more engineers, utter non sense. A.P produces more engineers than any other state in India. Anon 1:12 pm, what you are saying is orthogonal to my main point. My point is that a lot of the talent pool for the IT industry (in Bangalore or Chennai or Hyderabad) came from these newly formed private colleges, and the private college phenomenon had an almost accidental birth in Tamil Nadu due to the reservation system.Basically the liberalization in higher education in Tamil Nadu (which quickly spread to other southern States, except Kerala), the liberalization of the computer industry in the late 80s, and finally the economic reforms in the 90s all combined to produce the improbable IT boom in southern India. First of all, I agree that South India has driven the boom in IT in India. And I think now it is almost a gap of 10 years in knowledge between the southern part of India and other parts of India. I am a big fan of South India, though I am not from here.But, I differ on the explanation on “experiment in TN”.Just answer these questions:1. How do you counter argue that only one IIT is in south and rest IIT are in North and other parts of India? What happened to those brains?2. How do you counter argue that some of the best engg. shcools are actually other parts of India including KA, AP?3. How do you counter argument that the known names in industry like NRN, Premji, Soota, Nilekani, Bagchi et al are not from TN?To me the facts are these:1. Companies like Infy, TCS, Wipro, Satyam (now Mahindra-Satyam) etc drove the boom. Not a single company from Tamilnadu. CTS is also a spin off from Satyam. HCL is incubated in Delhi.2. Cities like Bangalore drove the boom as Bangalore accepts people from other parts of India, not Tamilnadu. I have been into TN and still I do not see any other local language much used.3. NRN, Premji et al are capitalist, but they saw the growth potential and have seen India as they are educated/moved across India. No one from TN. They have that acceptance to bring in the best from any part of India.4. Climate of Bangalore is a big factor, so also the Govt. support. They had the initial vision and patience to execute it.These people stayed in India, took the initial lots of pain of years, sometimes decades and the fruit we are seeing today.So, let us give the credit where it is due. It may have started in TN, but TN does not accept other cultures from India (which is an intensely diverse country) – no offense intended to my fellow Tamil brothers here. Though it good at competing and imbibing the best things.Plating the seed is important, but more important is waiting to see it growing to be a tree and giving fruits!Btw, I am not born and brought up in Bangalore. Rather, I am presenting the facts as I have been to Blore, Hyd, Chn all and seen it first hand everywhere. you from Tamilnadu! great to hear! wasn’t it Jayalalitha who allowed private colleges to be started? Excellent analysis – spot on!